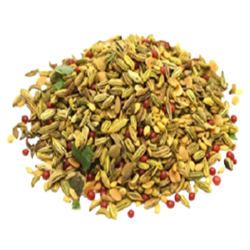 We are a client centric organization offering a premium range of Supari/Mukhwas ,This is used as an ingredient in mouth freshener. To attain the maximum satisfaction of the clients, we procure this product from some of the certified vendors of the market. We offer this product at affordable prices within the stipulated time frame. Our wide range of Supari & Mukhwas include, Betelnut Borli, Betelnut Manglori, Betelnut Raw, Betelnut Split, Betelnut Roasted, Betelnut Salli, Red Mukhwas, Green Mukhwas, Poona Mukhwas, Gujarati Mukhwas, Sugar Coated Fennel, Whole Big Supari, Whole Small Supari, Diamond Pieces Supari, Half Split Supari.